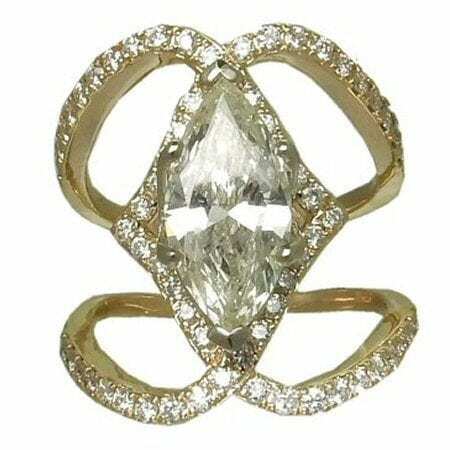 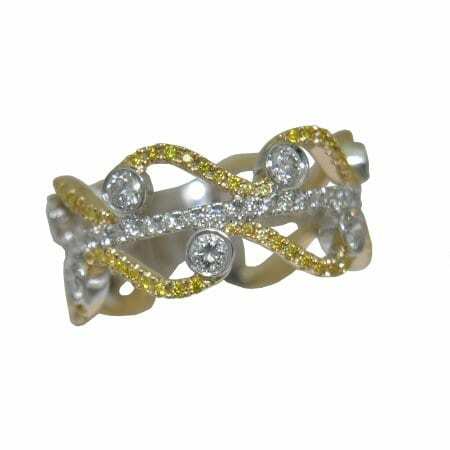 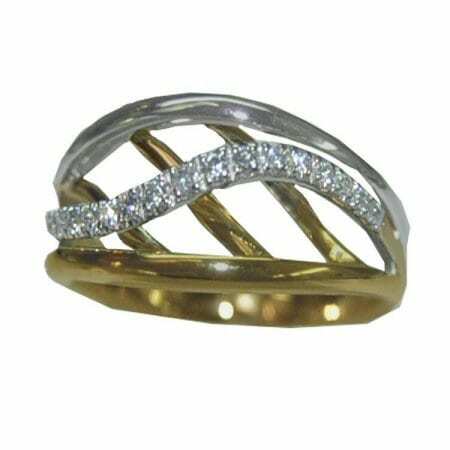 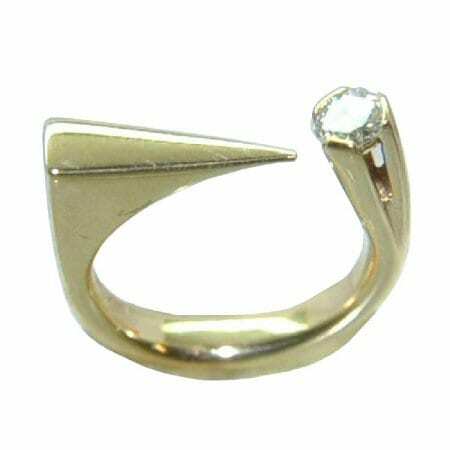 14 karat yellow gold contemporary ring with 2.72cttw diamonds. 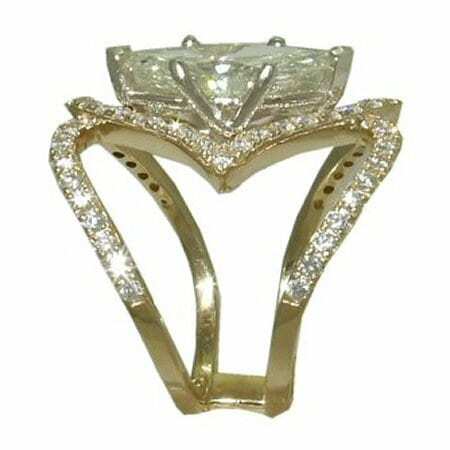 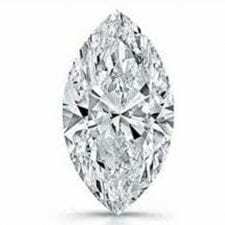 The center stone is a 2.0 carat marquise cut diamond of I1 clarity and M color and is certified as such by Gemological Institute of America, certificate #2205114836. 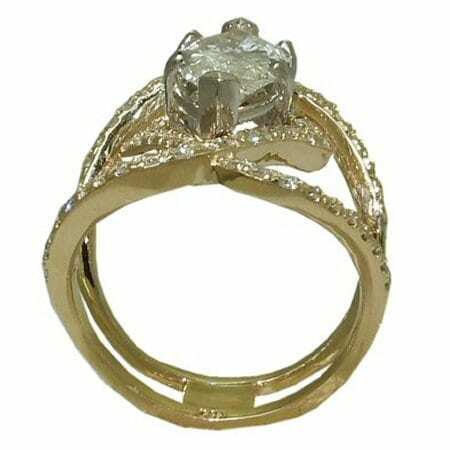 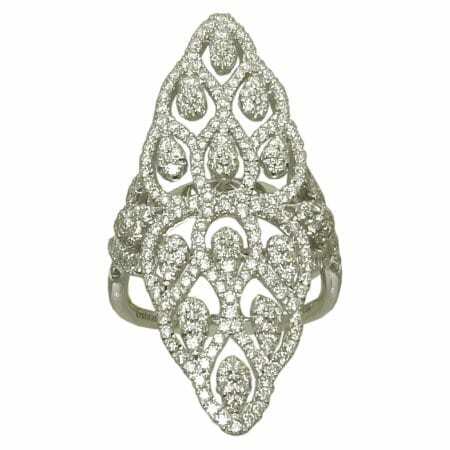 There are .72cttw round brilliant cut diamonds prong set in a marquise shape around the stone and on both sides of the wide open double shanked ring.